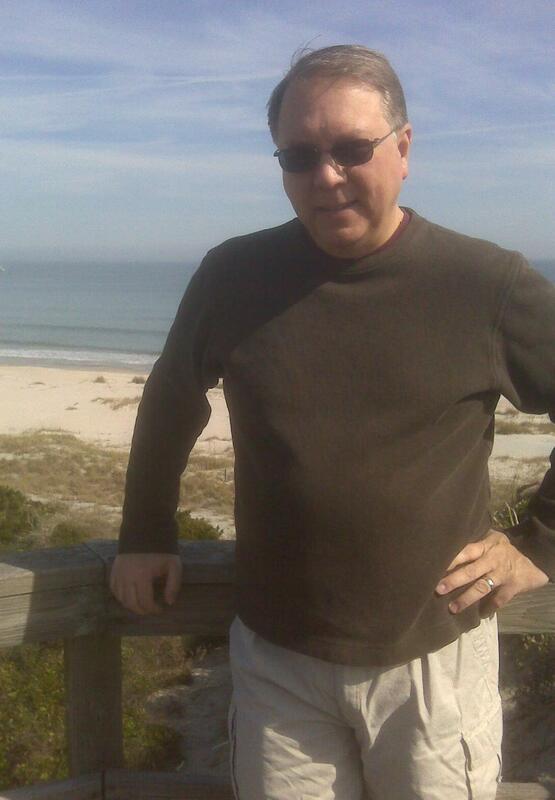 I’ll admit it…I’m a fifty-something. And, I’ve been it enough years (3) to accept it. Kind of. I’m a card-carrying member of AARP, but have never used the card. The AARP magazine comes each month, and I generally ignore it…even the “Bruce Springsteen turns 60” edition, and I’m a big fan of the Boss. The Des Moines Register’s fiftysomething magazine usually gets the same fate. But, the June edition of fiftysomething seems timely, regardless of age. In it, there are 3 articles about one of our favorite outdoor activities in the Des Moines and Central Iowa area: grilling. In “Charcoal? Smoke? Gas?” that debate is…debated…even further by several grilling/smoking experts from Des Moines to Clive to Ankeny to Grimes. In “Smoking Allowed,” Steve “Woody” Wasson and his wife Cheryl are interviewed regarding their barbequing/smoking hobby that’s turned their award-winning recipes and smoking styles into Woody’s Smoke Shack restaurant on Cottage Grove Avenue by Drake University. Whether a grill on the back deck of your home or your restaurant, the hardware is key. 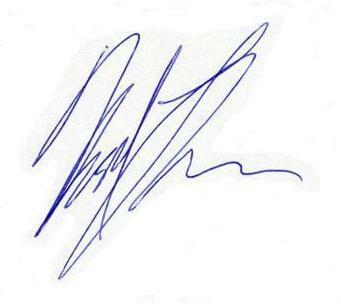 Key, as in you have to have something to cook on. And, in many of these cooks’ opinions, more than one something! There are cases and times when charcoal is better, others when gas is better, yet others when a smoker is best. 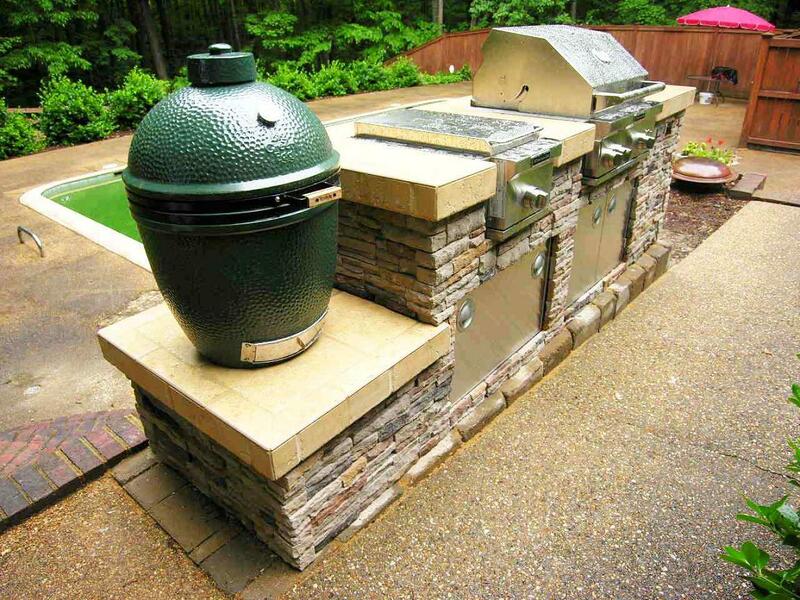 Green Egg and Smoker Joe egg-type grills combine the best of charcoal grills and smokers. Gas grills can have smoker box features that give a charcoal/smoke flavor often missing on standard gas grills. So many choices! So many decisions! So many recipes! And how would any of that be incorporated into an outdoor kitchen configuration? Multiple components in an outdoor kitchen? On your deck or on your patio or where? That’s where Archadeck’s custom outdoor living spaces and outdoor kitchen program comes into play! 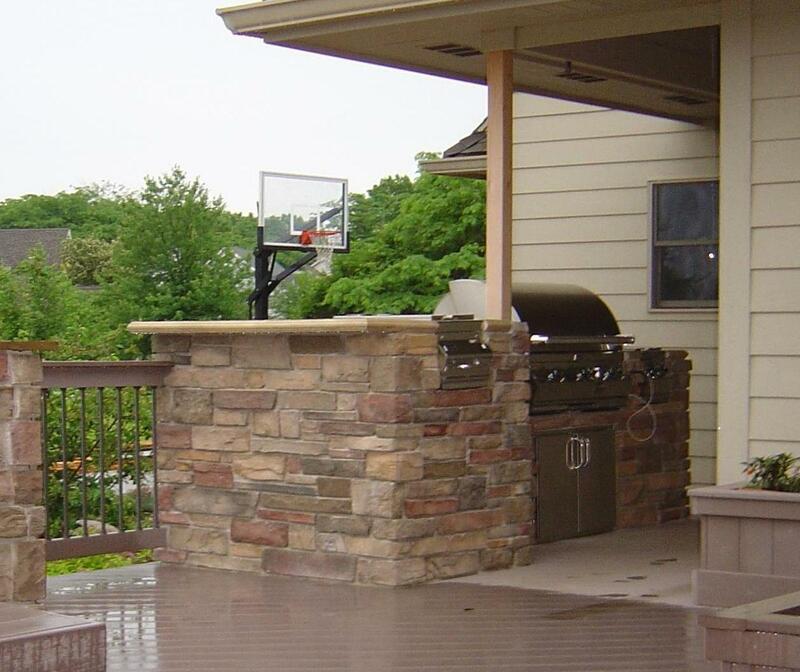 We have a team dedicated to working with you to customize an outdoor kitchen to your taste. Our design team works with you at every stage to be vigilant that no detail is overlooked, ensuring you of a beautiful, functional and enjoyable outdoor kitchen that will redefine how you cook, live and entertain. Whether in a new Archadeck project or into your existing outdoor living spaces, an outdoor kitchen – on a deck or patio…even under a pergola or in a porch or room – will offer the ultimate grilling and entertaining space. Fiftysomething isn’t bad, either. Especially when dinner is cooked to perfection…outdoors. This entry was posted in Decks and Decking, Outdoor Kitchens, Outdoor Living, Patios, Pergolas, Screen Porches. Bookmark the permalink.